The University of Kelaniya recently celebrated Hindi day. Prof Mohammad Gulrez, the visiting short term Chair of the Colombo Centre for Indian Studies (CCIS), recalled the fluency at which many Sri Lankan students eloquently recited poems in Hindi. The Indian Government has offered 800 scholarships for Sri Lankan students every year; 300 of which are opportunities to study in India. Prof. Gulrez, who was also the former Chairman at the Department of West Asian and North African Studies at Aligarh Muslim University, India, envisioned a future of greater cultural collaboration between the two neighbouring countries. “It is a positive time for Sri Lanka, the wheel is moving,” said Prof. Gulrez speaking at his office at CCIS recently. He hoped that this wheel would move closer towards India, a country Sri Lanka shares strong cultural and historical ties with. India over the last two decades, has seen phenomenal growth and its government led by Prime Minister Narenda Modi has found itself waking up to the realisation that as an emerging power, they are not the only ‘game’ in town. 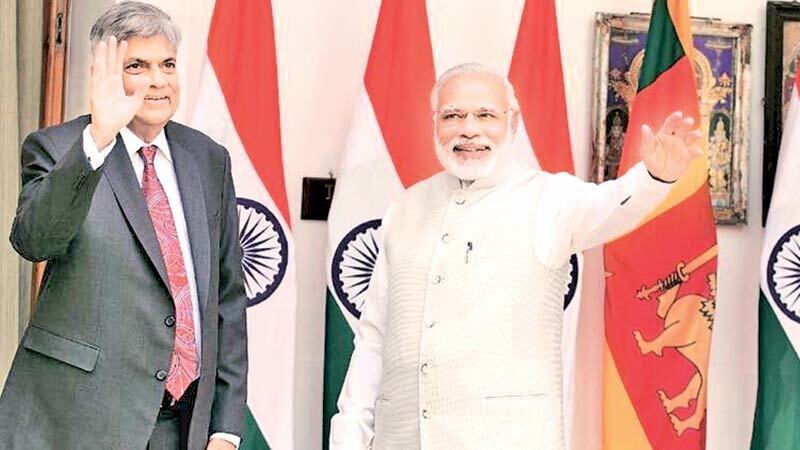 “India now wants to develop its relationship with Sri Lanka on a one to one basis; with mutual respect and open hands, respecting the sovereignty and dignity of the two countries,” explained Prof. Gulrez. He added that there was a “change in the total profile, in the thinking of the Government of India towards Sri Lanka”. 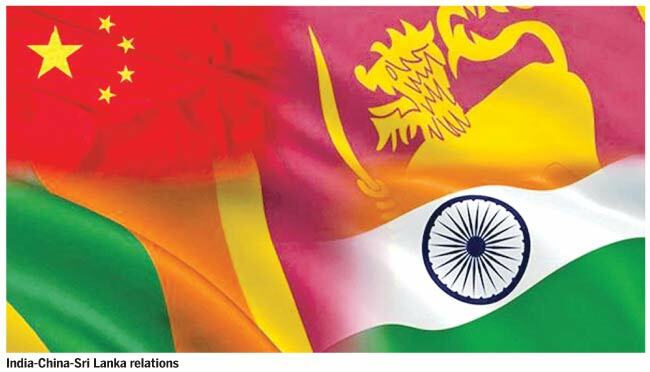 India is Sri Lanka’s second largest trading partner with trade relations increasing up to USD 4.6 billion annually. The two governments are also discussing on expanding this trade further through the Economic and Technology Cooperation Framework Agreement (ETCA). In addition, they have also taken positive steps to iron out one of the major issues of contention; fishing rights through high level talks. This positive outlook has been helped by a more receptive government in Colombo and closer presence of China in the region. “During the previous Rajapaksa regime, there was a time when Sri Lanka was emphasising and targeting only economic relations with India but economic relations are not built on one stand-alone policy,” said Prof. Gulrez. “They need to be supported by other parameters. Only then can you have robust economic relationship,” he added. One such parameter was the Indian involvement in the ethnic conflict, but since its disastrous involvement in the 1980s, the ‘big brother’ of the Indian Ocean has learnt to take a back seat in internal conflicts. “India has realised in its own calculations that imposing pressure from above will not work. And the civil war was costly for both countries. Simultaneously, Sri Lanka is partly responsible for self-perpetuating the war. There is this realisation, not only in the neighbouring states of South Asia but also within the policy parameters of the government of India,” explained Prof. Gulrez. As a result, as Sri Lanka sat down to prepare its new Constitution over the last two years, there was a remarkable easing of pressure from across the Palk Strait. And whilst Prime Minister Modi in his first visit to Sri Lanka, made it clear in the Sri Lankan Parliament that power devolution was the way to go, the islanders themselves have had to sort out what kind of mechanism would work best for them. Opposition Leader, R. Sampanthan too in a recent meeting with media personnel was to remark that pressure from India in terms of the Constitution making process was considerably less unlike with the 13th Amendment. “They now have other concerns,” he said. These ‘other concerns’ revolve around a fast expanding Chinese presence in the Indian Ocean region. “The aid which was coming into Sri Lanka, was coming through Japan, World Bank and IMF. But, when the war broke out, the aid coming from the World Bank and IMF reduced. This aid was being used for infrastructure development and it came with low interest and a long payback period. But when the aid dried up, in came China. Sri Lanka also looked towards, Iran, Russia and Libya- these were high interest and had quicker payment periods. But Sri Lanka needed this. However, after the war this trend could not be continued. Sri Lanka today is indebted up to USD 8 billion to China,” said Prof. Gulrez as he voiced concerns over Chinese investments in the country. 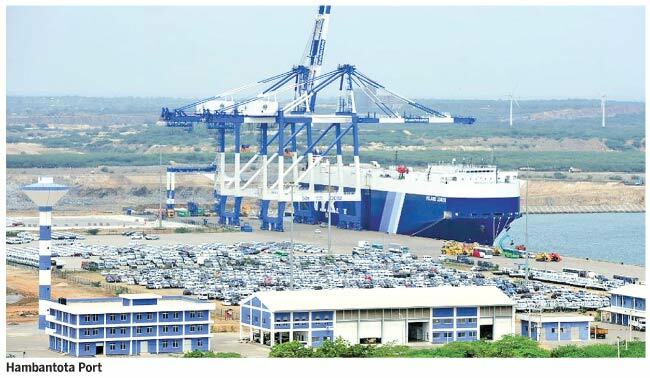 One such worrying investment is the Hambantota Port. The government recently signed an agreement with China to convert its debt into equity. “These are the prime positions of an independent country, but because of the constraints, you have to bargain your sovereignty. Hambantota is rightly located in the Indian Ocean. To the East, it connects to the Middle East, Africa and South East Asia. In turn, this is a prime project in the Maritime Silk Road project of China,” argued the Indian Professor. Prime Minister, Ranil Wickremesinghe however, has continuously assured that the Port would not be used for any foreign military activity, but Prof Gulrez explained that the Chinese presence at the port was still worrying to India. “In peace time, there are good relations and all agreements are respected and obeyed, but when it comes to war, the respect for obligations is less. So this is not only in the interest of India but also Sri Lanka,” he added. 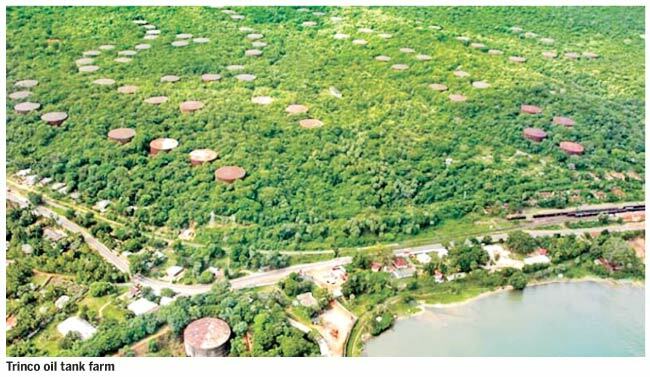 In a bid to appease Indian fears, the government has invited the Indians to invest in the Trincomalee oil tanks once again and though the agreement was stalled due to local protests, Prof. Gulrez said the two deals were hardly comparable. “Land in the Colombo Port City was given to China on a 99 year lease, which is a long time. Whereas in Trincomalee, even if the deal was signed, it is only in respect to the old one signed in 2003 and it is only for 35 years,” he said. The point however is that India thus far has not come in for the big investments desperately needed by Sri Lanka. What India offers however, according to Prof. Gulrez, is less debt, open investments and democratic government. “As compared to China, all aid coming from India, is not debt. Whatever little resource India has it has invested in Northern houses, hospitals and railroads. I believe that because of our ethos and culture- we are a reliable partner,” he said. He added that Indian investments were closely scrutinized by its own Parliament and people, thus making its dealings more open. “When you see China investments in Africa, even the workers are imported from China, no one knows what happens in the projects. We believe in building partnerships on an equal basis, not one party investing and developing a China town,” said Prof. Gulrez. “In every project, we want Sri Lanka to be a partner. We don’t want to purchase 90 percent of shares,” he added. As an Indian scholar, the Professor was also quick to point out that whilst it was the sovereign right of any country to decide to whom it will have trade relations with and whom it will not, Hambantota was an eye opener in terms of how costly a Chinese investment can be. “From India’s perspective, it sees China’s presence in Sri Lanka, Bangladesh, Pakistan and Djibouti - which was recently occupied with China’s first military base outside of its shores (2017). For China it is fine, but from the point of Indian security, it is worrying,” he said. Apart from Sri Lanka, China has invested in the China- Pakistan Economic Corridor (CPEC); an investment of USD 50 billion. “This too will have its road from occupied Kashmir, a disputed territory from our perspective,” the Professor explained further. “We are keeping our eyes open on our borders, we cannot keep silent watching the string of pearls tighten. We have raised our concerns and I think Sri Lanka does share our concerns,” he added. As Chinese presence grows around its own neighbourhood, India has started to look afresh at mending its own fences in the region. “Efforts in Bangladesh are reaping benefits now and we have settled the land border dispute. We are now working out a mechanism to share water between the two countries and improve trade investments. With Nepal too we share close relations,” he explained. With the ‘neighbourhood first’ policy of Prime Minister Modi, the government has advocated for the Indian Ocean to be a zone of peace. His sentiments are similarly echoed by Prime Minister Wickremesinghe who wishes to see a more economically integrated Indian Ocean. “In the new political disposition, soon after PM Modi took office, he rightly placed two priorities in his foreign policy: one was faith in SAARC and the other in the Indian Ocean. Now India realises that the cultural strength and mobility within SAARC is so strong that it can work as a safety wall of India’s security,” explained Prof. Gulrez. SAARC however, has not delivered as expected. The 19th SAARC meeting scheduled to be held in Islamabad, Pakistan was cancelled last year due to tensions between Pakistan and India and according to Prof. Gulrez, the only organization which has not delivered. This leaves India no choice but to use its cultural and historical ties in the region to build more personal ties with the Indian Ocean littoral states in order to prevent them from drifting towards a more lucrative China. ‘Cooperation not only depends on goodwill of the countries in the region but also when agreed to by the big powers. In the post-cold war years, there is a need for countries to realise that basic issues have changed. Since you cannot invade a country with an army, efforts are being made to invade through infrastructure and technological advancement,” reiterated Prof. Gulrez. As a result, areas of soft power such as; the Buddhist circuit between India and Sri Lanka, the historical ties of culture and Tamil language, the presence of 78 embassies to which Sri Lanka is credited having its offices in India, the exchange of scholars between India and Sri Lanka, tourism, an online visa platform for Sri Lankans travelling to India and more direct flights between the two countries to have greater exchange of ideas and people, are being emphasized on. “In the last pay revisions of the Central Government officers in India, our leave travel concessions earlier only allowed visits in India, but now we can also visit Sri Lanka. This is a big leap forward in our relations,” he explained further. However, as Colombo’s skyline fills up with Chinese infrastructure, the optimistic Indian scholar stressed, “We want to re-do what was missing in the last 27 years, we believe our relations are not simply based on economy but on the narrative of history and culture”.